President Donald Trump’s election may have all the diplomats clamoring to stay at his Washington, D.C. hotel, but his controversial campaign’s harsh rhetoric and administration’s agenda have made many potential customers uneasy about giving their business to Trump’s properties. 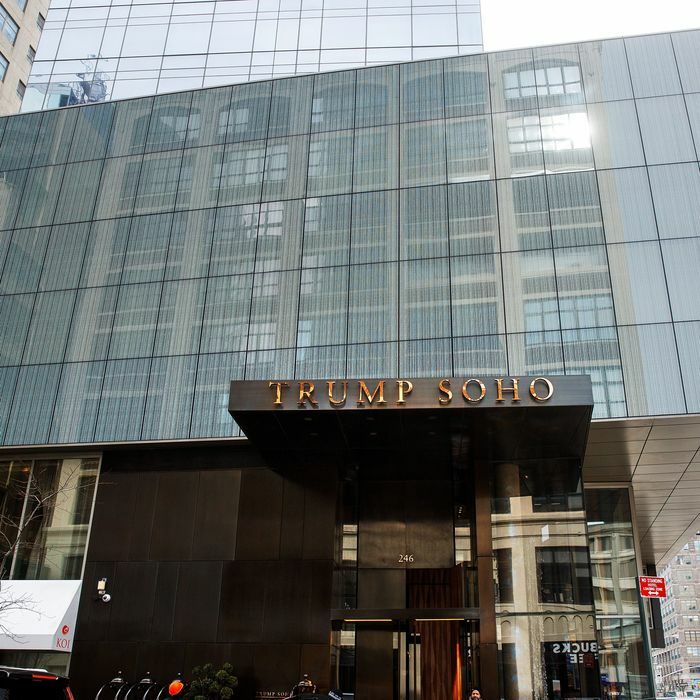 Residents of Manhattan’s Trump Place successfully changed their property’s name, two celebrity chefs famously backed out of D.C.’s Trump International Hotel and others were unwilling to replace them, and Trump’s new line of hotels won’t bear his name. Then last December, a month after three NBA teams announced they wouldn’t stay at his hotels, members of the Cleveland Cavaliers (including Black Lives Matter supporter LeBron James) refused to stay at the Trump Soho. Now, that hotel’s restaurant operator, Koi, an international chainlet of sushi spots for beautiful people, is shuttering its outpost there. But this isn’t a closing as usual. It’s collateral damage from the rise of Trump. A California import, Koi is a familiar style of pan-Asian restaurant: clubby, expensive, and popular with celebrities and professional athletes. It’s not in any food snob’s regular rotation, but the Los Angeles original (branches have opened in Bangkok, Las Vegas, and Dubai) has long been a destination for the rich and famous. When the Soho location opened in 2012, Forbes Travel Guide wrote, “where there’s a Koi dish, there’s a celebrity.” Though Chou declined to delve specifically into how much business had gone down, Koi staffers say that the election has had an impact on the restaurant’s bottom line, and their paychecks. Now, references to the downtown branch have been scrubbed from both the Koi Trump Soho’s homepages. A limited menu (“30 to 40 percent of what we used to carry,” the reservationist says) will be served until June 18, when Koi and menu items like “She’s So LA” rolls will vacate the building for good. No one other locations will close, and Chou says that the group hopes to reopen somewhere else downtown. Ricardo Aca, who worked at the restaurant for four years until this February, concurs, noting twice that “the Kardashians stopped coming.” Following the election, Aca says that business dipped so much that he had to take a second part-time job while he was still working there. As a server in the hotel’s Koi-managed lounge, he saw his hourly earnings fall from about $20 to $15 an hour. And Grullon says he’s making almost $200 dollars less each week and that he, too, has had to get a second job. According to Grullon, Koi now has just ten service employees, including those in the kitchen. Some staff started walking away once business evaporated, and now that news of the closing is public, more have started to leave. The dining room is often 30 to 40 percent full and never gets past 50 to 60 percent capacity. During lunch, they’ll serve fewer than 30 people in a restaurant that can seat 140.